Cup DispenserKeeps the Food Service Area Organized! 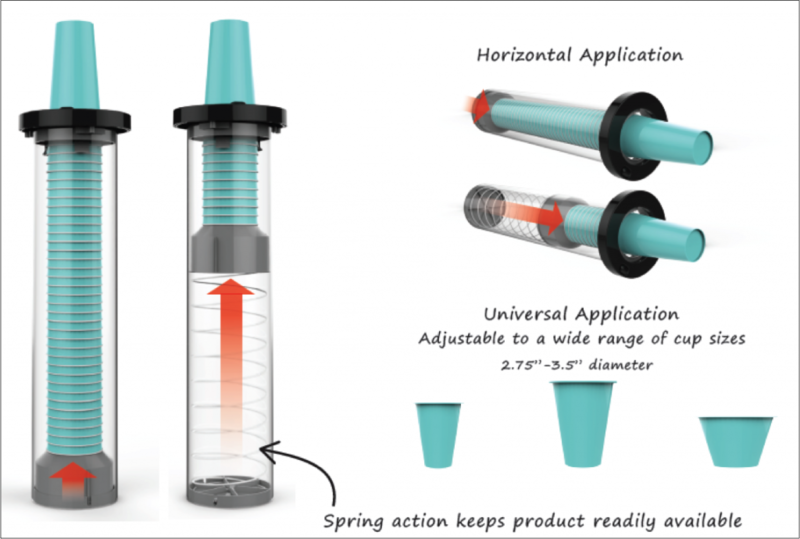 This universal cup dispenser allows to dispense any size cup without changing out the front ring where the cups are released. A ratcheted ring makes it possible to adjust to any cup size.